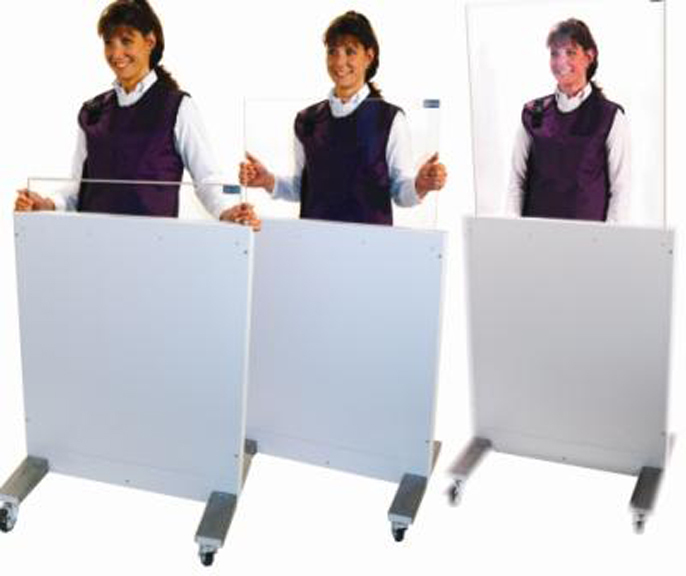 Mobile Adjustable Height Clear Lead Acrylic Barrier-45.25" and 74". Can be moved up and down with min effort. Base width: 31", Upper width: 28" wide clear pb provides .5mm lead equivalent protection.